In case you didn't know, Amazon Prime Day is next week. And if you can get the Amazon Prime Now one or two-hour delivery service in your area (see below), there will be preferential deals for you including up to 40 percent off everyday items. The deals run from now through to the end of 11 July. Not got Prime Now or don't know what it is? Then read on! Amazon Prime Now is all about speed and enables you to can choose to have products delievered free during a two-hour window anytime between 8am and midnight on any day of the week. If you want to go one better and have one hour delivery (select postcodes only) you can pay a £6.99 delivery charge for the priviledge. Prime Now launched in London in June 2015 and is available to more than 30% of the UK population in selected postcodes in London, Birmingham, Hertfordshire, Sheffield, Surrey, Newcastle, Manchester, Leeds, Liverpool, Portsmouth and Glasgow. It doesn't offer Amazon's full stock, but a mere 20,000 items. These span everything from food and drink to toilet paper to gadgets and toys. You'll have to be a member of Amazon Prime – which costs £79 a year. To use the service, download the dedicated Amazon Prime Now app on your iOS or Android device and start shopping. Elsewhere, a Moleskine notebook and a tin of sketching pencils were ordered at 20:09, shipped from the Amazon Prime Now facility in Manchester and delivered at 20:24 to a local address in Swinton. The most popular Prime Now purchase of 2015 was the Fire TV Stick – closely followed by bottled water, Pepsi Max and Terry's Chocolate Orange. Amazon Prime Day 2017 will be held on Tuesday 11 July 2017, however, the event will run over two days, starting on the Monday 10 July at 6pm. You will need an Amazon Prime account to take advantage of the deals, though. Prime is Amazon's premium service which offers unlimited one-day deliver on all your orders, plus access to the Amazon Prime Instant Video service for a fee of £79 per year. Visit amazon.co.uk to shop the full selection of Prime Day deals. Prime Day has expanded to 13 countries this year - deals will be available in the US, UK, Spain, Mexico, Japan, Italy, India, Germany, France, China, Canada, Belgium and Austria. What were the best deals last year? Last year Amazon Prime Day was the biggest day in Amazon’s history - Amazon's traffic was up 36%. 18,048 pairs of headphones were sold in three hours in the US, while in the UK we bought 600 Trunki suitcases early in the day - who knew there was such an urgent demand for impractical toddler transport? Amazon also sold 90,000 TVs and thousands of Kindle Paperwhites, Fire TV Sticks and FIre tablets. What are likely to be the best Amazon Prime deals 2017? Check out Amazon's Prime Day page to take advantage of the offers or view our selected best deals below. Deals are Everywhere – Prime members can shop deals on all devices, across all categories, in all Prime countries. 30 Hours to Shop - 24 hours just isn’t enough time to shop all of the great deals, so Prime Day will start at 6pm on Monday, 10th July giving Prime members 30 hours to shop. Explore Deals You’re Into – Find deals organised by the most shopped for themes. From pet lovers to gardeners and techies to artists – find your deals even faster. Toys All Day – Prime members in the UK will find toy deals nearly all day on Prime Day. Watch-A-Deal – Readily track and shop any deal while at home or on-the-go with the Amazon App. More to Watch – Prime members will find unbelievable deals on some of today's top rated TV series and popular blockbuster films to rent or purchase and instantly stream on Amazon Video. Tips – Find helpful advice on how to shop on Prime Day at amazon.co.uk/primeday. Is it worth having an Amazon Prime account? As well as having free next day delivery, you also get access to numerous other services including the Amazon Prime Instant Video streaming service. You can also store unlimited numbers of photos and borrow ebooks. If you live in London or some other major cities you also get access to Amazon Prime Now - a one-hour delivery service on a bunch of esential items. You can also join Amazon Family, which means 20 per cent of nappies if you're into that. According to Amazon, Prime Day will be the biggest Amazon event ever, with more than 100,000 deals worldwide exclusively for Prime members. 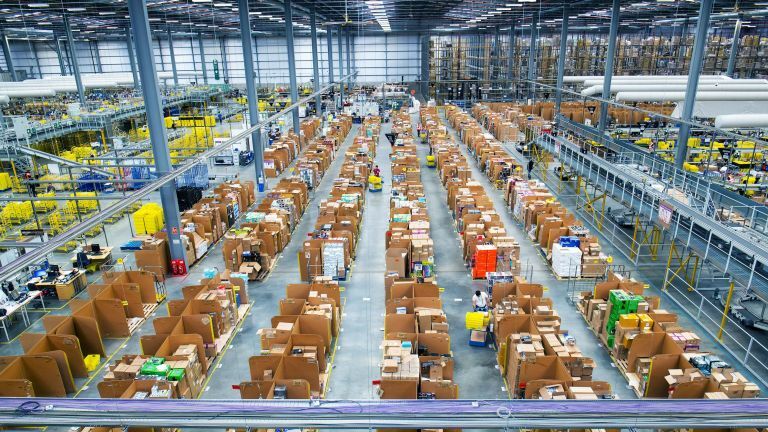 Last year Amazon claimed that Prime Day would hve more deals than Black Friday and Cyber Monday, the November and December days when pre-Christmas sales peak. It turned out to be a bit of a red herring but Amazon was stung by the criticism and there will be some cracking offers this time around.